یحتفظ متحف الشارقة للحضارة الإسلامیة، بمجموعة من الخزف المینائى التی تتمیز بثرائها من حیث الدلالات الفنیة والرمزیة التی تحملها، فضلاً عن أنها تعطى فکرة واضحة عن مدرسة التصویر الإسلامی على الخزف المینائى. 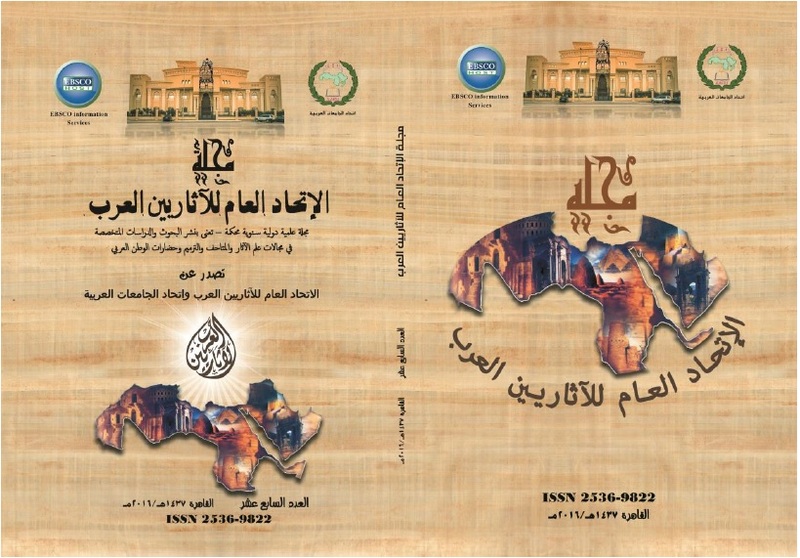 تتبع الدراسة التی بین أیدینا الأسلوب الوصفى التسجیلى من خلال وصف وتوثیق عدد (5) سلطانیات، وعدد (1) قدر تنشر لأول مرة، وتتضمن الدراسة الوصفیة القیاسات والألوان مع وصف تفصیلى للعناصر الزخرفیة، ویتجاوز البحث السرد إلى مجال إعمال العقل والفکر وفق أسلوب تحلیلى وتأصیل ظهور بعض الموضوعات التصویریة ودراسة لمفردات تصامیمها، مع تتبع لأوجه التشابه والاختلاف بین هذه الموضوعات والمعاصر لها من حیث التصمیم والتکوین الفنى، ومحاولة قراءة ما تتضمنه من أشرطة کتابیة من حیث الشکل والمضمون. The "Mina'i" ceramics in the period of study provides comprehensive collections which include human and animal figures whether as symbols of power and prosperity. The figures were in high dynamic movements such as; scenes of hunting, horse riding. The study focuses on the harmony in shape and design, the way of representing the figures face details, movements, cloth, and how other decorative elements were added and linked to the human figures which was precisely designed in a very small area and repeated with details. By analyzing the very character of Islamic designs on Mina'i ceramics, a new classification deducted some new results. One of the most important objectives of the research would be studying unpublished objects of Persian Mina'i (enameled) ceramics. The unpublished objects in the mentioned period selected for the study described, classified, analyzed and dated to lead to the fact that the art produced by and for Muslim societies was mixed with pre-existing artistic traditions that enrich the Muslim patrons. The research focused on the following: (i) a detailed comparative study among Sharjah Museum collection and a similar one in different museums in Egypt and USA such as Freer Gallery in Washington, Victoria and Albert Museum (ii) discussion, comparison and clarifying the brilliancy of Muslim artists in conveying their ideas in human figures decoration (iii) study and publish a group of unpublished objects.